Paul Whitfield, one of our top employment lawyers in Manchester looks at some common issues around staff holiday entitlement and time off work. An employee claims he was ill for a week of a 2 week holiday. He wants me to pay him sick pay for a week and let him take the second week of his holiday another time. Recent case law indicates that employees that become ill during a period of statutory holiday may choose to take that time as sick leave rather than holiday. However, they would be required to comply with the normal company sick leave policy which would normally require them to tell their employer the day they are ill. Employers should ensure their holiday pay and sick leave polices deal with this. We told employees stranded by the volcanic ash cloud that their additional days absence would be paid and treated as holiday. An employee who had to use all his holidays now wants to challenge that. If it was made clear to the employee that the absence would be treated as part of their staff holiday entitlement at the time and they agreed to this it is hard to see how they could challenge it. Had you not treated the absence as holiday the employee would not have been entitled to be paid for those days. Subject to the business requirements you could offer him some unpaid leave. If an employee is absent for a large amount of the holiday year and so can’t take holidays, do we have to carry those days forward into the next holiday year? Yes, if an employee can’t take statutory holiday as they are absent on maternity or sick leave they should be permitted to carry those days holiday into the next holiday year. In many cases this can be tagged onto the start or end of maternity leave. It may be possible to limit this to statutory holidays in your contract of employment if your employees get more than the statutory minimum. Employees also have the right during sick leave to take days as holiday and to receive holiday pay for those days, even if they have exhausted their right to sick pay. If someone fails to take their staff holiday entitlement in one year can they carry it forward to the next year? 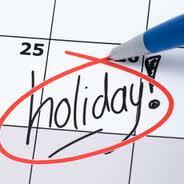 Unless the contract of employment says otherwise the untaken holiday would be lost in most cases. Only if the employee is unable to take the holiday due to absence would the employer be required to permit the holiday to be carried forward. It is wise to have this covered in the contract of employment or holiday policy. I was told that it is now illegal to ask job applicants about their health during recruitment. Is that right? In most cases yes. The Equality Act 2010 came into force in October and it limits what an employer can ask applicants about their health. Only in limited cases is it now lawful to ask applicants about their health before they are offered employment. Questions may only be asked if it is necessary to find out if the applicant can carry out basic functions of the role. For example, it would be acceptable to ask applicants for a manual handling role if their health would affect their ability to carry out that aspect of the role. Employers who ask applicants to complete detailed health questionnaires should stop doing so now. Does the Equality Act 2010 make employers publish information about the rates of pay for men and women? It was intended that employers with 250 or more staff would be obliged to do this from 2013 but the Collation Government have said that they oppose this legalisation and it is unlikely to be brought into force. If it was to be brought into force it would be likely to be restricted to only employers who have lost equal pay claims and not all employers. Can we still make our employees’ keep their pay confidential from each other? Under the Equality Act, pay secrecy clauses will be unenforceable if an employee discusses their pay to see if they are being discriminated against. A woman asking a male colleague in the same role what he earns would be protected but two male colleagues will not be and their pay secrecy clause would remain enforceable. There is nothing in the new laws that would force employees to disclose their pay details if asked by a colleague. Many employers will carry on including pay secrecy clauses in their contracts but will not enforce them where that would be inappropriate. 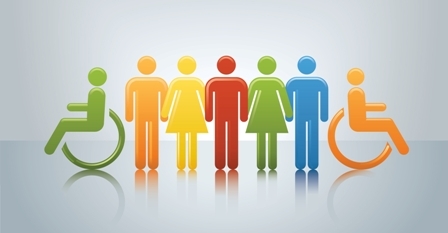 Does the Equality Act 2010 create lots of new types of discrimination claims? Despite some of the media coverage, no. The law on discrimination was very complex and messy as a result of the law for each form of discrimination being different. The Act tries to make the law for each type similar and clarifies the scope of the law to cover ‘protected characteristics’ on which it is ­unlawful to discriminate these being age, disability, race, religion, gender, sexual orientation, ­marriage and maternity. None of which are new.